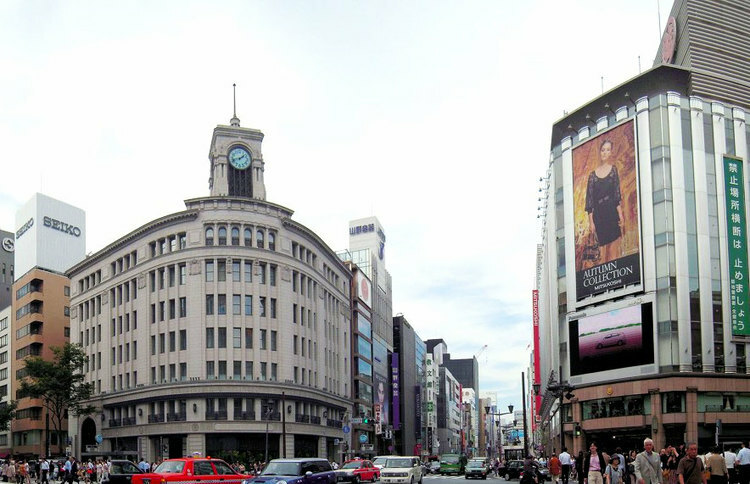 The Ginza 4-chome intersection is located in the heart of Ginza, marked by two landmark buildings, the Mitsukoshi Department Store and the Wako Clock Tower. 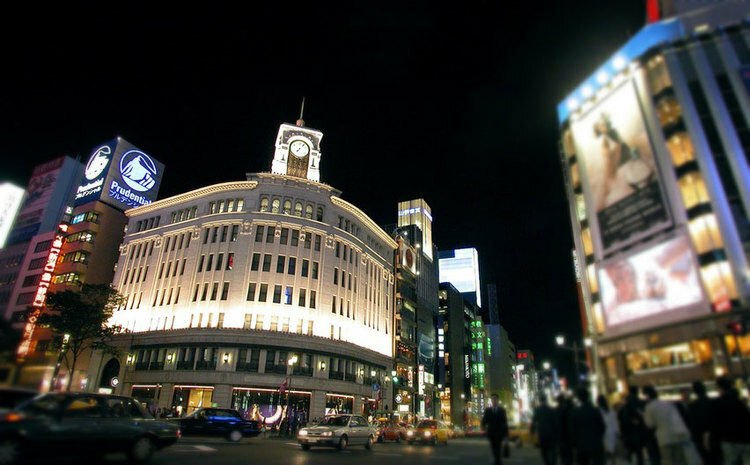 From this intersection most of the highlights of Ginza spread out along Chuo Dori Avenue and Harumi Dori Avenue. The area around the 4-chome Crossing boasts the most expensive land price in Japan. 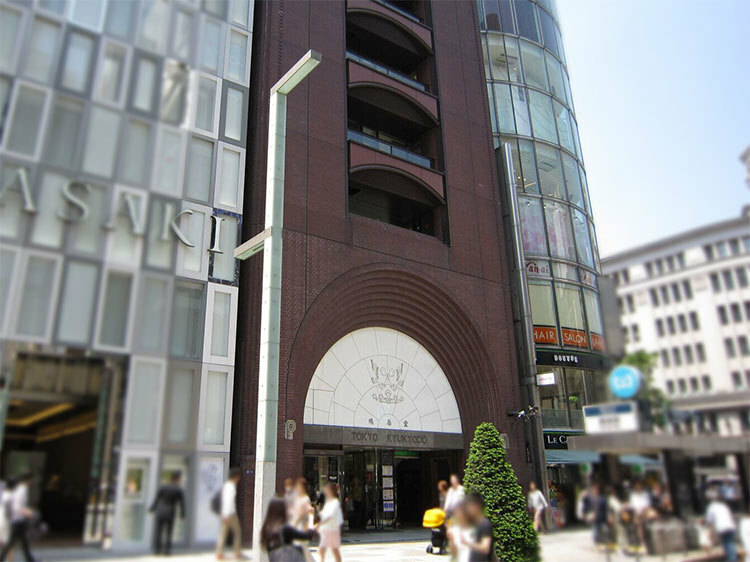 Mitsukoshi Ginza Department Store, located at the northeast side of the Crossing is well known as one of the most upscale department stores in Japan, dating back to the “Echigoya” clothing stores in the Nihonbashi district which opened in 1673. The Wako Building, a clock tower located on its northwest side, was constructed in 1932. The tower is the central landmark for the district, and one of the few buildings in the area left standing after WWII.